We can’t decide if this modified Ferrari 488 is a work of art of an atrocity. To some, exotic supercars are sacred and should be left untouched. Try telling that to Liberty Walk Performance, a renowned Japanese car modding company that specializes in supercar widebody kits which it’s applied to the likes of the Lamborghini Huracan and McLaren 650S with interesting results. 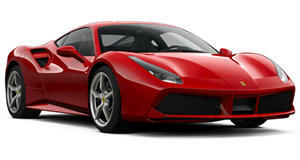 Following its work on the 458 Italia, the tuning company has turned its attentions to its successor, the mid-engine 488 GTB, shown for the first time at this year’s Tokyo Auto Salon. Let’s just say it could be labelled as an acquired taste. As with the 458, similar work has been applied to the 488 GTB, which Liberty Walk has dubbed the “LB 488 Works-R.” It’s been fitted with a rear ducktail spoiler, front and rear fender flares, side skirts, a front lip and dive planes. Its Forgiato Dieci-C wheels have been painted in gloss black, and the exterior is finished in dark grey with black contrasting elements such as the roof, door mirrors and rear intake gills, along with a black vinyl stripe running up the center. We can’t imagine Enzo approving of such treatment to the fabled Ferrari, somehow. Do you think Liberty Walk’s latest is a work of art or an offensive atrocity?